Langkawi Malaysia is a beautiful tropical beach island only a cheap 30 minute plane ride from Penang. A little known secret is that Langkawi offers duty free prices for alchohol and smokes! Read on.During my month stay in Penang I continually heard good things about the beach and the cheap alcohol. Disclaimer: There are affiliate links to the hotel. I booked a 30 minute flight from Penang to Langkawai there using Air Asia for $34 US one way and did a short 2 day stay at Cenang Beach, the main popular beach. My goal there was to relax from the grind I had in Penang. It was a cheap uber ride from the airport (15rm) to my hotel at the Nadias. Cenang beach is a short 5 minute walk away from the Nadias hotel and offers those gorgeous sunsets. After a lot of cross research between trip advisor and Agoda I settled on the Nadias hotel at $about 49 US a night. As you know me I’m looking for a comfortable room, good value, clean, wifi, and good location. This placed checked the boxes for me. The room was a decent sized, it was modern, decent breakfast, and decent swimming pool. The main feature was that it was a short 5 minute walk to the beach, close to the starbucks, plaza, and duty free stores. It’s ideal for couples or people looking a comfortable room they could work and have a class walk to cenang beach. In between filming video I also found out that the duty free stores not only carry cheap beer, but wine and cigars. A got a bottle of hardy’s sauvignon blanc for 29 Ringet. I heard that the island has some special arrangement where they don’t pass on the duty to tourists. This is one of the draws of the island. I didn’t bother touring around the island. I managed to wake up early to catch some morning aerial footage of Penang, but the prime time would be during the sunset. I did a lunch at red tomato, the popular restaurant for western food with foreigners. The food was good, but it was expensive and there was terrible customer service. The kebab’s on the main street were good. The included breakfast buffer at the hotel was just average. For the afternoon I decided to rent a sunbed until sunset. At least I could film some footage with DJI OSMO. I took out the DJI drone to setup by my sunbed and asked permission from the owner. He said yes. There were a lot of people, but the airspace was clear and I had a strong GPS signal. I took off from a quiet area. I manage to capture different colors of the sunset during my 1 flight. I had to deal with some curious tourists. I gave myself a 5 minute buffer to land and double checked it was safe to land. Flying on a tropic beach paradise like Langkawi is awesome as an Aerial Videographer. There are few high obstructions and you have a georgeous sunset and beach to film. If you are interested in learning Aerial videography or photography from me check out my Online class with a promo discount. There are a lot of cars that drive through the beach as well as foot traffic. Mission accomplished I got the aerial footage click here if you’re interested in licensing it. Check out the video. It was a good trip. Cheap booze, nice beach, and the hotel was good value and a 5 minute walk to the beach. The food was expensive compared to Penang, but this was a nice beach pitstop. 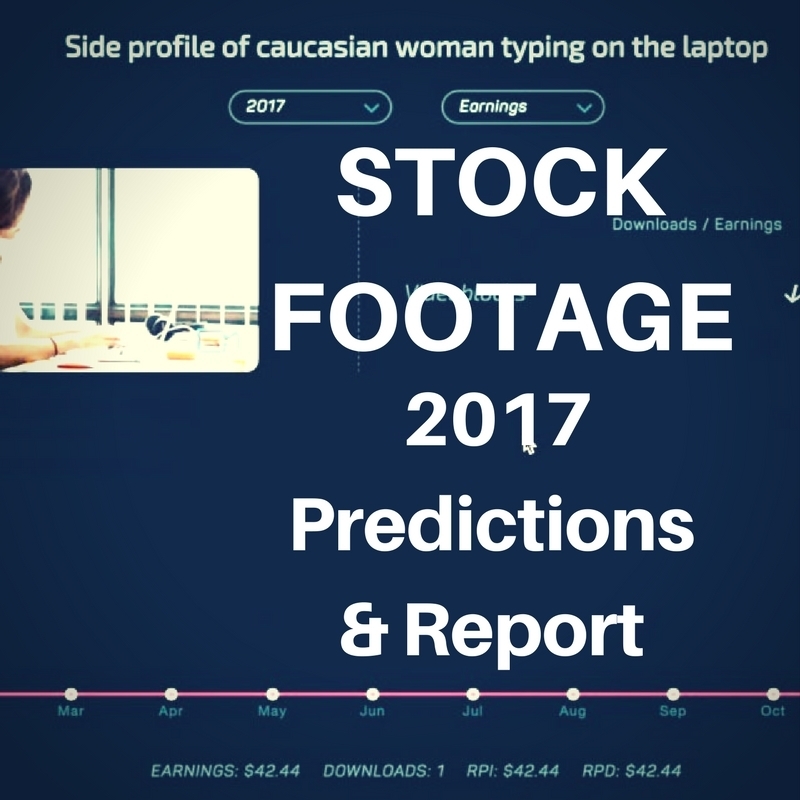 Subscribe to get Free info from the report and an invite to the free Stock footage course . I arrived in the city of Adelaide, also known as wine country. Before I booked my trip my research had revealed that many of the better-known Australian Wine brands are located in the Adelaide’s Barossa Valley. Jacob’s Creek, Penfolds, Peter Lehmann, Wolf Blass, Two Hands Wines, and Yalumba are just some of the wineries available in the valley. What most people may not know is that Adelaide was ranked in the top 5 of the EIU’s most livable cities. When I have travel discussions that involve Australia it is very rare that Adelaide enters the discussion. It is the higher profile cities such as Sydney, Gold Coast, and Melbourne that often take the spotlight. I believe wine is something special that Australia has to offer the travel and Adelaide is the right Australian destination to explore that offering. Adelaide is a smaller city than Sydney and Melbourne and requires that you rent a car especially if you are going to wine country. I also recommend getting a GPS or a sim card for your smart phone with Google maps. I was in need of some sleep as I woke up at 3am in Melbourne to catch this flight. I would be staying at a modern apartment that I found through airbnb with a pair of local girls. I reached the apartment with no issues and I received a warm welcome from my hosts. I was quickly shown to my room and was happy to see that it was nice, clean and spacious. I took a nap right away. When I woke up I didn’t have much time to plan as the day was half way gone, but my hosts helped me plan an efficient schedule with the time I had left. It was midday and I didn’t have enough time to make it out to the wine country so I planned to get some aerial shots at mount lofty and see some koala’s, kangaroo’s at Cleland Conservation Park. Both locations were located nearby each other so I was actually able to visit both. In fact, I was able to visit Mount Lofty during the day and after sunset. I pulled into the Mount Lofty parking area. As I didn’t want to pay for parking I parked on the side road where I saw other cars parked. I walked to the viewpoint and took some shots. It’s a good viewpoint and attracted many people. The highlight of this day was Cleland Conservation Park. I paid for my ticket and headed straight for the star of this park, which was the Koala. Tip: You will meet many kangaroo’s that are not shy of people, but there is only a limited time to see the koalas so see them first. I had heard that koala’s can sleep somewhere around 21-22 hours in a day so if you have a chance to see a koala awake its a precious moment. I had a chance to take a picture with a koala and pet him and ask some questions of his caretaker. There were even more koala’s nearby the viewing area that I took pictures of. You’ll get your koala fix at this park for sure. After the koala’s I had some time so I planned to see the dingoes, wombats, and more kangaroos and some other animals long the way. The park provided me with a good visual map and it was easy enough to get around the park. It’s huge and I doubt you will be disappointed. I stayed right until sunset and then headed back to Mount Lofty for some sunset shots. I was satisfied with how I salvaged the day. Up close with a koala. This could be you. tip: expect to spend your first day settling into your destination and planning it out if you can. If you can squeeze a few things on the itinerary that’s great, but if you plan a compressed trip with everything crammed into 2-3 days you’re setting yourself up for a poor experience. I picked up a couple of fresh $5 Panini’s and refreshments before embarking on my wine trip. I elected to drive myself for more flexibility and time to film. I had no problem finding my first winery called Yalumba. Yalumba enjoys good brand recognition in Vancouver and I was very pleased that they were willing to co-operate with my filming request of the wine tasting experience. I will leave it to the video to showcase it. Yalumba provided plenty of time, water, and even a fresh coffee. I took some time to rest and eat my Panini’s before heading out to my next destination called Wolf Blass. You will find Wolf Blass on most of the shelves worldwide. They were just about closing, but I had a chance to do a rushed tasting before ending the day. I decided to return to Gouger St. to try a busy Sushi restaurant called Sushi train. It featured the conveyer belt, which is good way to preview the real life dishes, which I then order a la carte at the same price. The quality was good. I called it a night. The next day I repeated the same routine and decided to visit Penfolds. I was treated to a very educational and enjoyable wine tasting experience here from a knowledgeable woman. My next stop was a recommendation from my host called Chateau Dorrien. From there I got a referral to visit a local popular restaurant/wine tasting spot called Maggie beer. My last stop was a unique winery called the Rockford. Check out the video for highlights of the experience. Rockford has a feel of a boutique winery that has an original decor and exceptional wines. Recommended by the local wineries in Barossa. Overall, all the wineries were very friendly and offered free quality wine tastings. You are not pressured into buying anything, but if you do the prices you get here are a good deal with some wines they sell not available on the local bottle store shelves. I got a good wine education. Thanks to all the Barossa Valley’ wineries for their co-operation. McLaren Vale is a region south of Adelaide known for specializing in Shiraz variety of red wine. There wasn’t as much information available for me to plan my visit so I decided to head there and play it by ear. I came across a familiar winery in Stump Hill Shiraz and decided to pay a visit. I drove in the driveway for Stump Hill and heard a loud dog barking. This place did not look inviting and I could not see an entrance to any winery. It looked like a private house and I felt I was intruding and quickly left to get some information from the visitor center. I managed to get a map and plenty of help from the visitor’s center. They were reluctant to recommend any particular wineries although I managed to persuade them to highlight some wineries that included a strong recommendation for Squid Ink Shiraz, which isn’t really on the map. I hope this map I’m posting helps you and I also want to point out that there is a Mclaren Vale app. I didn’t have a chance to use it, but if you do please share your feedback. My first stop was squid ink. It was a small winery with a small office feel, but I was quickly greeted by a lady that introduced me to the manager that personally and patiently took me through their product lineup. I tasted one of the best Shiraz wines I’ve ever had. Check the video to see which one it was. I also managed to visit the Woodstock estate and had an excellent experience with the lady being very generous taking me through the entire menu. I had to take a Panini break after this tasting. When I was ready to resume my tasting I decided to visit a unique winery called Chapel Hill, which was based in a former church. It was a beautiful setting and a rainbow had formed just before I arrived hopefully signaling that I had arrived at the pot of gold. A man greeted me and although it was almost closing time he took me through most of the menu and shared some good knowledge of the wines. I missed Rosemount Wineries, which I was really looking forward to. I had no regrets as both Barossa and Mclaren Vale had treated me very well. Tip: If you like a wine in any of these valley’s buy it while you are there. On my last day I decided to give myself a bit of a break and just visit the town of Adelaide. I took up a mini mission to get to Rundle Mall and took some shots in town. Some notable areas I visited were the Botanical Gardens and the National Wine Center, which are next door to each other. I didn’t really enjoy the Botanical gardens although some people might. The wine center didn’t offer any free tastings, but had some photo friendly educational exhibits upstairs. I would recommend your time would be better spent in town if it is limited. The town of Adelaide feels like a large town rather than a city, but check out the video to make your own judgement. At night I decided to cook dinner at home. After speaking with my hosts we agreed to head out for some drinks, as it was a Friday night. They took me to the area of Norwood to the Bath lounge which featured live music, a bar, and some seating in a modern atmosphere. One of the hosts bumped into her local friends and we ended up taking some photos. I had an early morning flight so we decided to head home after a couple of beers (after all that wine a beer was nice). I had a great time in Adelaide! The big draw is the wine country at Barossa Valley and Mclaren Vale. I consider myself a moderate wine enthusiast, which means I’m a bit more knowledgeable than the average person and enjoy all kinds of wine types from time to time. Any wine enthusiast or someone that enjoys wine and wants to learn more must definitely make the trip out here to experience the wine tasting and education you will get. So far I’ve found it incomparable to any wine country I’ve been to such as the Kelowna’s Okanagan valley, Nappa Valley, and Capetown’s Stellenbosch. In addition to the popular Australian brands I managed to find some smaller wineries in both valleys such as Rockford and Squid Ink that offered exceptional wines. A key draw are the free tastings for some very high quality wines and friendly and welcoming staff. If you are planning to drink lots you might want to take a tour otherwise if you have a designated driver you can take advantage of a more personal experience. A bonus for me was getting to see the koalas and kangaroo’s up close at Cleland national park. Out of all the destinations I visited in Australia this was the best spot for visiting them and getting the best photo opportunities. I made a good decision to stay with these friendly and knowledgeable locals on airbnb and renting a car. I’ve come to the conclusion that your experience is in great part shaped by your decisions on where you stay, spend your time, and who you spend it with. The destination will still offer what i can, but you have these things under your control so take the time to make some good decisions. If you would really like to see an Adelaide video. Share how much you want it by commenting or sharing on social media. I have plenty of great content, but it takes a tone of time to produce a good video. So show me some love. Greg is a modern World Explorer, Film-maker, Mobile & Google friendly Website producer, & Entrepreneur at the intersection of travel and technology. He has directed, shot, edited, and produced over 30 high definition travel and lifestyle related videos on Youtube in addition to producing ChicVoyage in Asia – modern travel adventures on the Amazon.com store in 2012. He has been instructed by globally renown SLR Director and film-maker Phillip Bloom. His 4 month 2013 journey took him to Hawaii, Australia, New Zealand, South Africa, Singapore, Indonesia, and Malaysia.